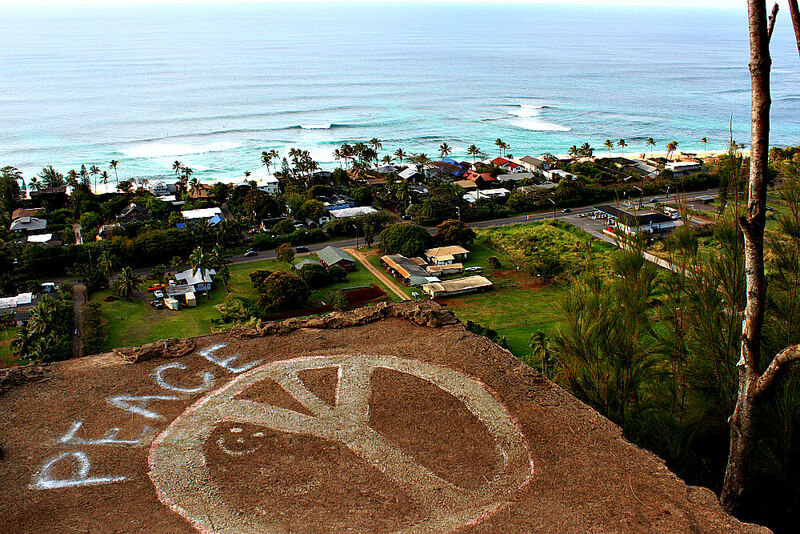 Time to head to the countryside and pay a visit to the laidback Oahu North Shore! 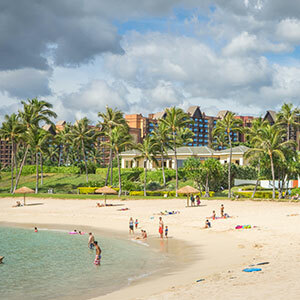 A one hour drive will take you from the bustling Waikiki to the rural countryside. You know you’re close when you pass the Dole Plantation, and travel through the pineapple fields. Continue driving down the ridge, as you admire the impressive view of the North Shore of Oahu. 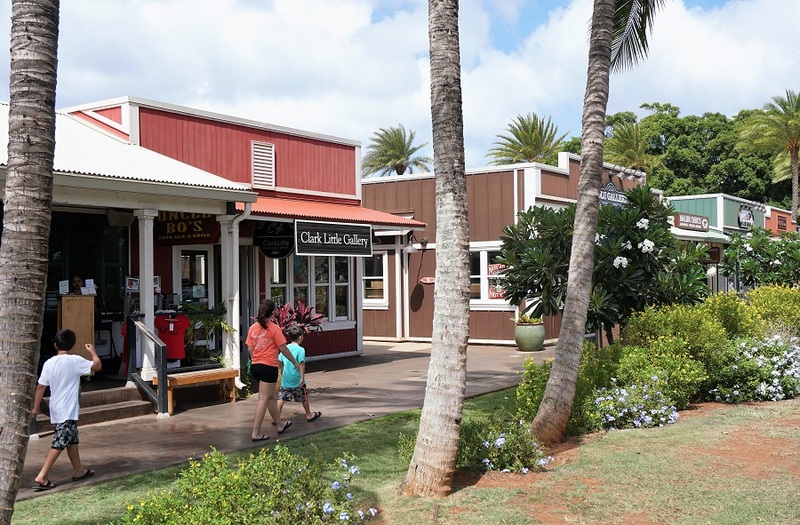 Roll down your windows, and breathe the fresh cool salty air, as you arrive at the rustic old Haleiwa Town. It’s time to slow down and relax when you reach Historic Haleiwa Town. Grab a Hawaiian shave ice, check out the Hawaiian art galleries, and shops before continuing on to the famous Oahu North Shore beaches. I never get tired visiting North Shore Oahu. There’s a very laid back island style and way of life in this part of the island that’s hard to put into words. It’s something you just have to experience to appreciate. Talking with artist Roy Taisora, who owns his own gallery in the North Shore, I believe he put it best when he advised to “slow down when you arrive in the North Shore and the magic will appear… You will be treated to the small island life”. I enjoy popping into small but well represented art galleries, ducking into small roadside island cafes, buying trinkets for my little girl and checking out the surf gear at the rustic surf shops. Make sure to stop by and visit Roy Taisora’s gallery along with the other half dozen galleries in Haleiwa town where many local artists' works are displayed, including the famous works of the artist, Wyland. 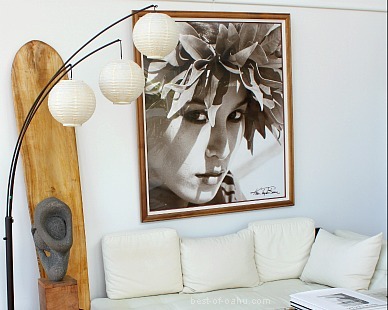 If you are interested in picking up a piece of original Hawaiian art work, this is the place to do it. 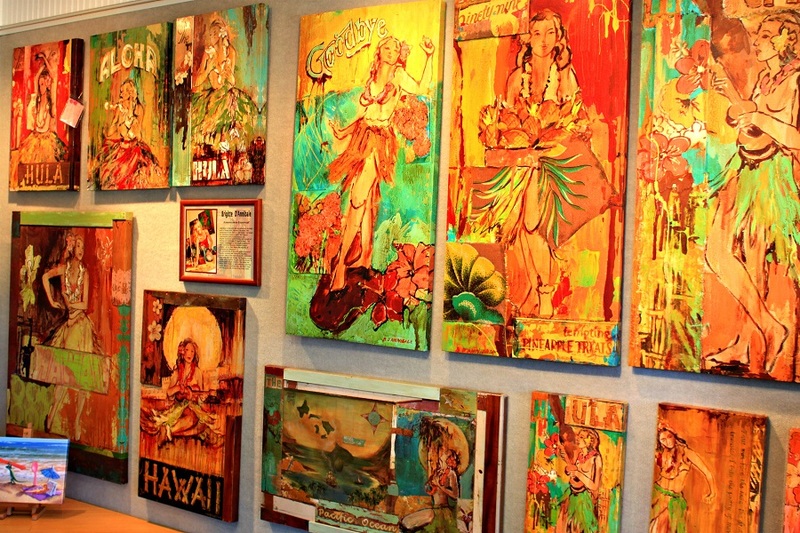 You’ll find artworks are about 50% less expensive than purchasing it in the galleries in Waikiki. Beyond the galleries filled with Hawaiian art work, I love the character of the old surf shops with the retired long boards that line up against the exterior walls. Even if you are not into surfing, you might appreciate the nostalgia that’s lying around these shops. 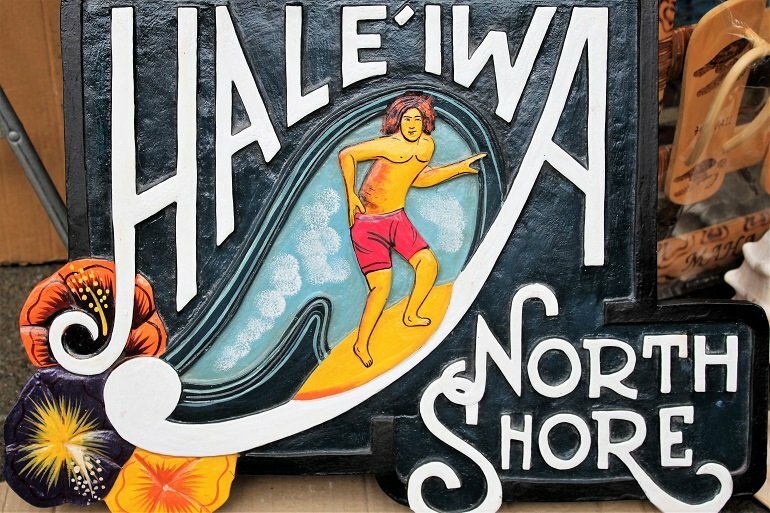 There is also a neat surf museum located in Haleiwa Town called the North Shore Surf and Cultural Museum. It captures the history of surfing on Oahu North Shore, with antique surfboards, ancient artifacts, daily showing of movies, and other surf nostalgia. North Shore Oahu Good Eats! 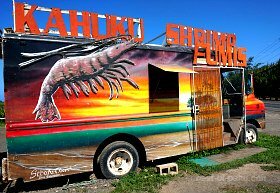 It’s easy to find the popular North Shore Shrimp Truck, as there are probably about a dozen of them spread throughout the North Shore of Oahu. They are all about the same so go ahead and stop when you see one so you can fulfill your craving to snack on a bucket of freshly caught shrimp. 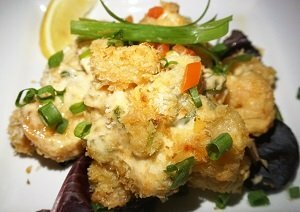 The garlic shrimp is a crowd favorite. Don’t get too full on shrimp because you'll need to save some of your appetite for Hawaii's favorite sweet treat -- mouth watering shave ice! There are not many restaurants on the North Shore of Oahu, but there are a few establishments worth mentioning! 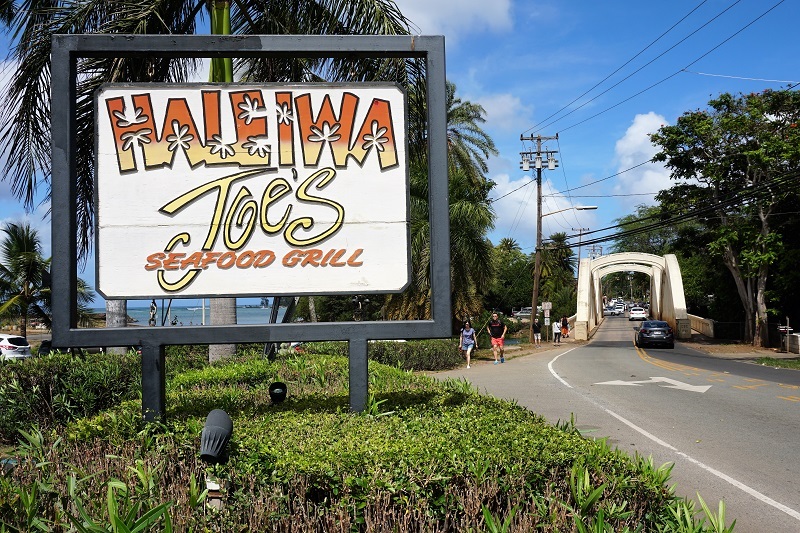 This is one of the best stops you can make right as you roll into Old Town Haleiwa. 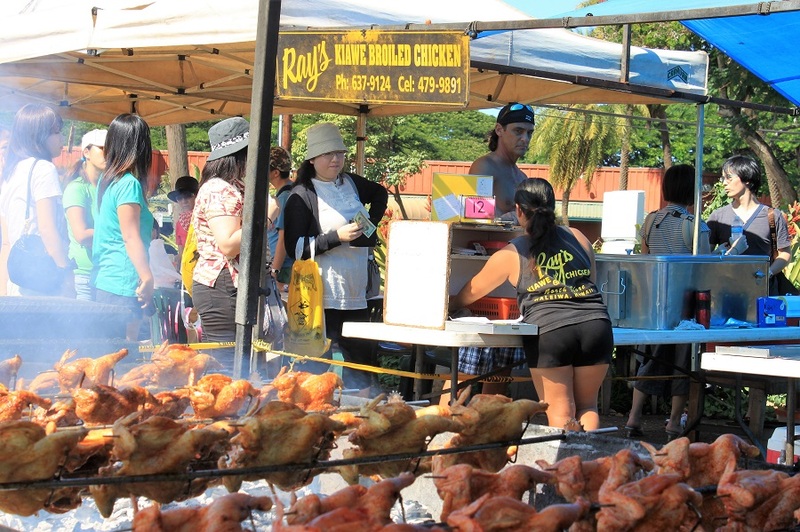 Ray’s Kiawe Broiled Chicken is a special treat if they got the grill fired up! Folks describe it as fall-off-the-bone, juicy, mouth watering chicken. It’s not your typical barbecued chicken, but smoked with Hawaiian kiawe wood, which intensifies the flavor! Topped off with a side of their popular pineapple coleslaw, you’re all set for lunch! Note that they are only open on weekends. 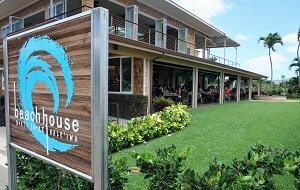 Hands down, the new Haleiwa Beach House has become a popular hit right from the start, and has joined Oahu’s best restaurant list with their fresh fish entrees and tasty innovations! It shouldn't come as a surprise as Owner Andy Anderson, has created successful restaurants in the past, including Michel’s at the Colony Surf in Waikiki. Enjoy the open air setting for lunch and dinner, and Mai Tais in the upstairs bar & lounge area. Get a taste of town in the country…no pun intended! 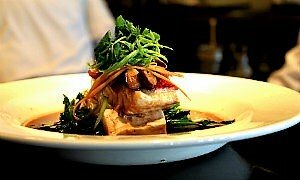 The North Shore continues to attract big culinary names and popular Honolulu established eateries, including Uncle Bo’s that recently launched a second location in Haleiwa. From ono surf & turf combos to an amazing fresh fish menu, it’s a treat to dine at Uncle Bo’s in the country! Try not to go crazy when ordering appetizers! Bone-in Prime Rib, Crunchy Coconut Shrimp, Chipotle Grilled Pork Chop, and Premium Grade Ahi Tuna are a sample of the onolicious selections that you get from this long run establishment. Catch a sunset with your dinner, and you’ll see why Haleiwa Joe’s has been doing well since opening in 1998. Note that why are open for lunch as well, with great affordable options like fish tacos & ½ rack of baby back ribs! Along with Hawaiian shave ice and shrimp trucks being a must on the North Shore, so are Ted’s Pies. Flavors such as chocolate haupia (creamy coconut) and macadamia nut draw the crowds. But their tasty BBQ plate lunches are the real reason why the locals continue to return and keep those lines long! Grab some lunch for the beach and a memorable pie to take back to town! Make sure you stop at the popular Matsumoto’s Hawaiian Shave Ice shop. A trip to Haleiwa town just isn’t complete without indulging in this ultimate Hawaiian treat. 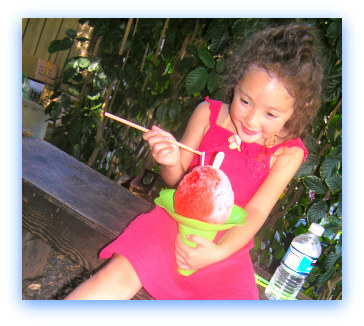 Take a stroll through the Matsumoto’s video, and order a yummy shave ice! 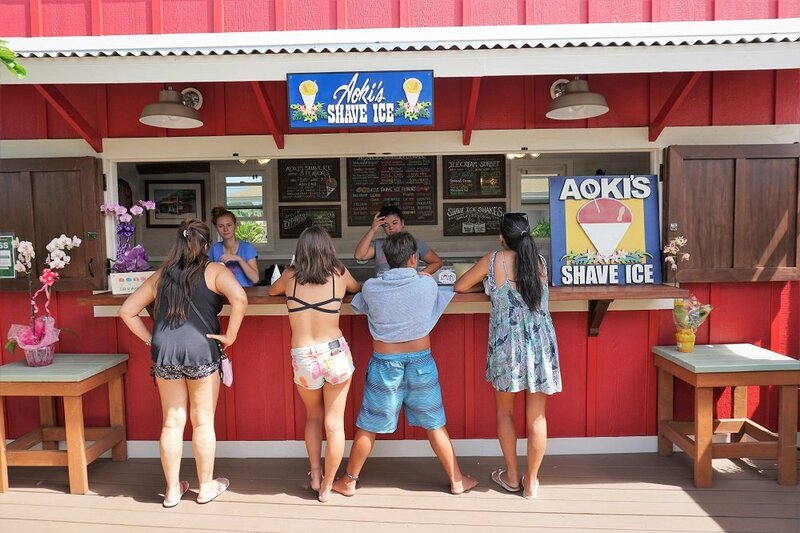 Matsumoto’s is by far the most famous, but if you wish not to stand in the long line, then jump next door to Aoki’s Hawaiian Shave Ice located across the street. BEST Hawaiian Shave Ice TIP: Where ever you end up, just make sure you request a scoop of vanilla ice cream in the bottom of your cone –trust me, it takes your Hawaiian shave ice experience to a whole new level! 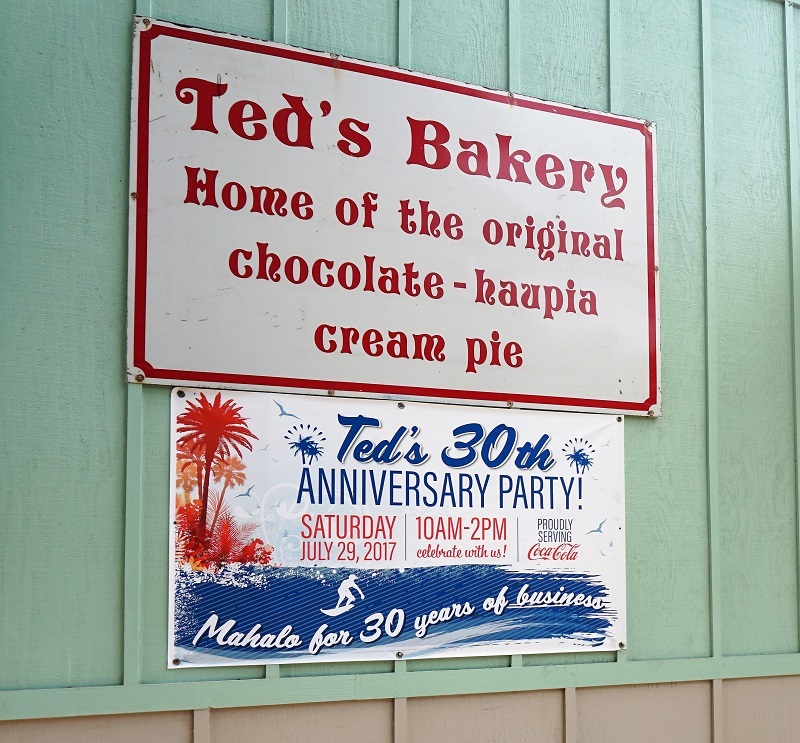 If Hawaiian shave ice just doesn’t cut it for you, then maybe Ted’s Bakery's famous pies just might fulfill that sweet tooth. Take note that these are not just everyday pies that you can find anywhere, but special pies with Hawaiian local flavors like Haupia (coconut), Chocolate Huapia (most popular) & Pineapple Cheese. Everyone loves the Chocolate Haupia, but my family's favorite is the plain Haupia. I would recommend buying a whole pie versus just a slice, or eat a slice while you are there, so you still have the ability to return and buy more before you leave. One of the most amazing experiences is taking it all in from above! 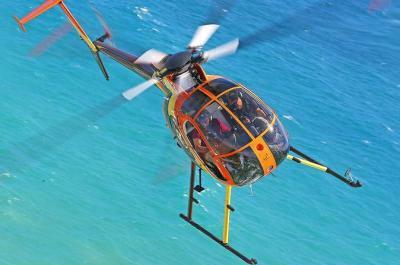 Words can't explain flying just a few hundred feet in an open-door helicopter above the magnificent coastline, taking in panoramic views spanning from Turtle Bay to Kaena Point, including Waimea Bay, the famous Banzai Pipeline, Haleiwa Town, and much, much more. The North Shore of Oahu has 7 miracle miles of incredibly beautiful beach waiting to be explored! 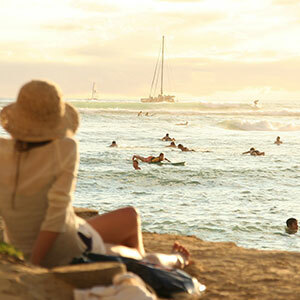 Leaving Haleiwa Town, you have two choices as you head out to the beaches. Turning left and heading west, will take you an isolated and beautiful side of Oahu North Shore called Mokuleia. 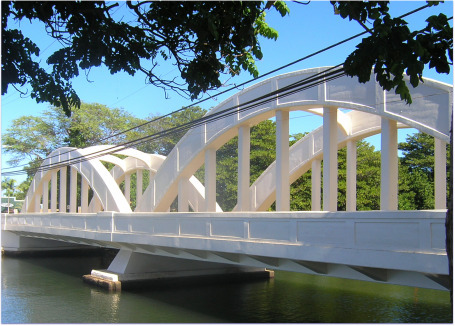 Turning right will take you across the famous twin-spanned Haleiwa bridge, which is the gateway to some of Hawaii’s most popular beaches. 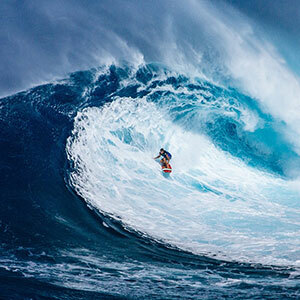 Waimea Bay Beach Park, Ehukai Beach Park (Banzai Pipeline), and Sunset Beach Oahu are the main event in the wintertime, when the waves are towering at 30 ft plus faces. Learning to surf and riding waves is not just a water activity that takes place in Waikiki, but is widely available on the North Shore as well. There are spots along the Haleiwa Beach shoreline that provide ideal waves for surfing and paddle boarding for all skill levels. 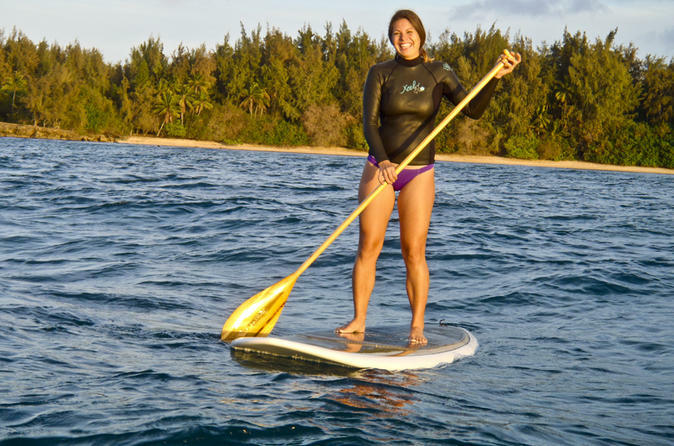 Aside from paddling on the beach, another fun and unique experience is to take a journey along the Haleiwa River on a stand up paddleboard. Most folks are pros after a few minutes of gaining their balance! 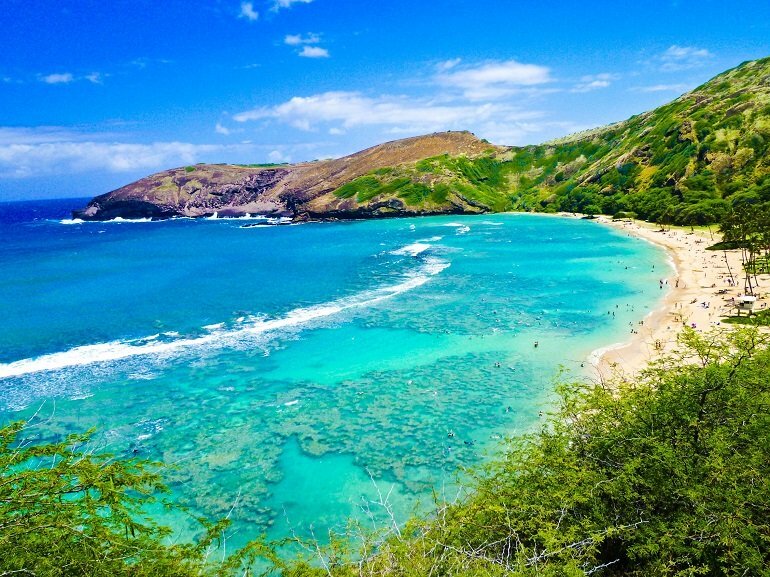 Discover Turtle Beach, or what is truly named Laniakea Beach. The green sea turtle choose their home as we do, and this small Oahu beach happens to be it! 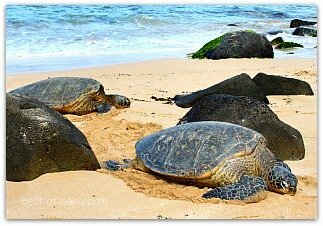 On almost any given day, you will find Hawaiian sea turtles basking here on the beach. You’re not allowed to touch, but you’ll have the best front row seat to view them. “Turtle Beach” is not hard to find, but could be quite challenging to park at. Parking is no longer allowed at Laniakea Beach, so you will need to travel further down and walk back. You are more likely to see green sea turtles swimming about, than reef sharks here at Sharks Cove. This North Shore cove got its name from its shark-like shape around it. 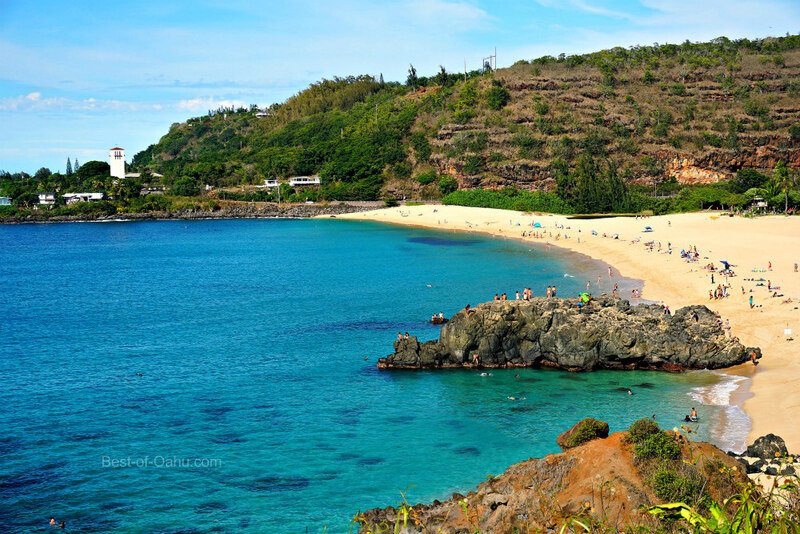 Shark’s Cove is part of Pupukea Beach Park, and is known for its amazing snorkeling and scuba diving. Under these waters you will see a large variety of marine life making home in the surrounding reef, as well as numerous lava tubes and caves to explore. It’s an underwater playground here at Sharks Cove, but it's only advisable to enter the waters under flat conditions (typically in the summer), and if you’re a good swimmer. Take note that there is no lifeguard on duty at this North Shore beach. Three Tables is another great snorkeling area located just above Waimea Bay and before you arrive at Sharks Cove. This is another unique reef area that’s part of the Pupukea Beach Park, and it is worth exploring the caves and marine life below. 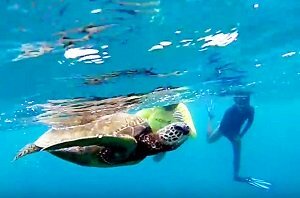 There is a 90 minute guided snorkeling tour in Turtle Cove, that includes a professional instructor, equipment, and safety lesson. 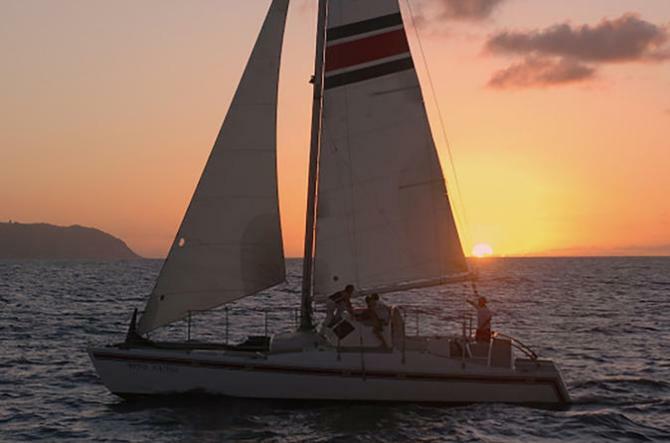 Explore the open water in search of green sea turtles and other sea life. Don’t miss a breathtaking Oahu waterfall across the street from Waimea Bay Beach Park. It’s located in the Waimea Valley Audubon Center (formerly known and sometimes still referred to as “Waimea Falls Park”). This is a fun place to take a stroll with the family! There is a small entrance fee to these botanical gardens, but well worth the admission to stroll the grounds with over 300 species of tropical plants and a stunning view of a 50 ft waterfall at the end of the trail. Nobody thinks of hiking ridges when searching things to do on the North Shore of Oahu, but there is a hidden trail known as the Ehukai Pillbox Hike. Some refer to it as the Sunset Pillbox Hike, as it resides behind the Sunset Elementary School, and has the best sunset views! This intermediate hike will take approximately 30 minutes to reach the first of two military pillboxes that sit at the top. 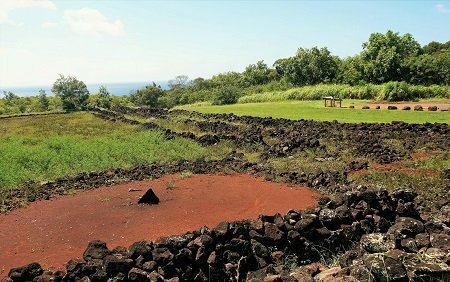 Above Waimea Bay is one of Oahu’s largest well preserved heiau (ancient Hawaiian sacred site), known as Puu O Mahaka State Monument. Today much of the boundary walls are in great condition, and they border the layout of the 2-acre site. You can drive right up to this state monument, or hike a half mile up from the eastern tip of Waimea Bay. Make sure to walk all the way around, and capture the beautiful view of the bay from the bottom corner of the heiau. 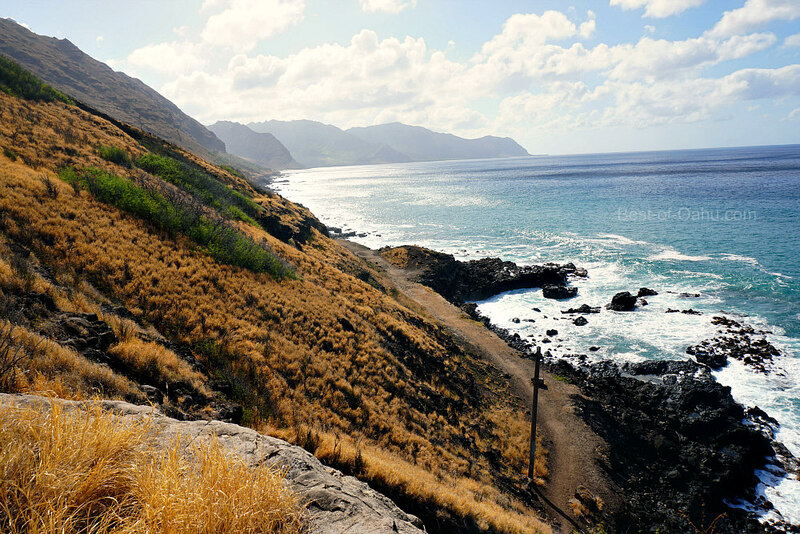 Ka’ena Point – where the road ends in the North Shore, is where the Oahu hiking trails start. 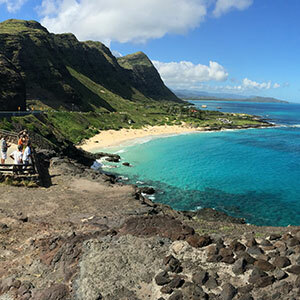 Take a two and a half mile journey hiking to the westerly tip of the island, and explore beautiful Ka’ena Point Park, trekking the sand dunes and the jagged coastline, and discovering a bird sanctuary park at the end. While most visitors head to the North Shore to visit Haleiwa Town and the popular beaches, I like to head towards the tip of Oahu North Shore and beyond. You'll notice there's a lot less traffic and development, and a lot more country greenery to see. But the adventure doesn't stop once you reach the north tip, where you'll find the Turtle Bay Resort and its extensive natural preserve estate. Just beyond the northern tip, you will discover the original 2 shrimp farms in a small town call Kahuku. Between Romy's Kahuku Prawns & Shrimp and Fumi's Kahuku Shrimp farms, you can sample some of the islands best and freshest garlic shrimp! Take a tour or simply sit on the outdoor picnic tables and enjoy! 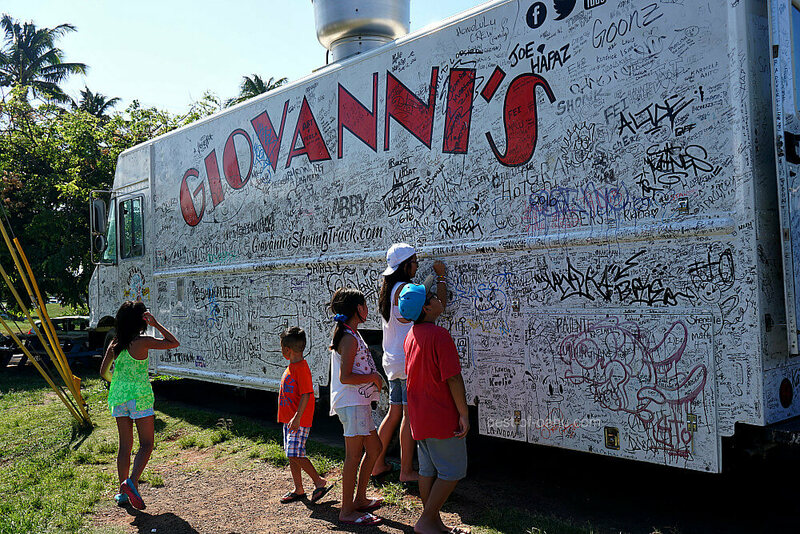 You will also find some shrimp trucks along the way, including the famous Giovanni's Shrimp Truck, where you write you name with a black sharpie...if you are able to find a spot to write it on! Just below Kahuku in Laie awaits the Polynesian Cultural Center. This cultural center opened in 1963 to the public with over 42 acres to explore today. 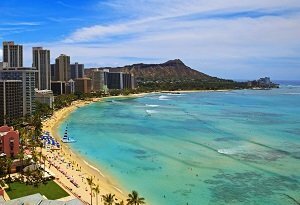 This Oahu attraction offers an incredible experience! You could easily spend all day here exploring the many different Polynesian cultural areas, shows, and activities. 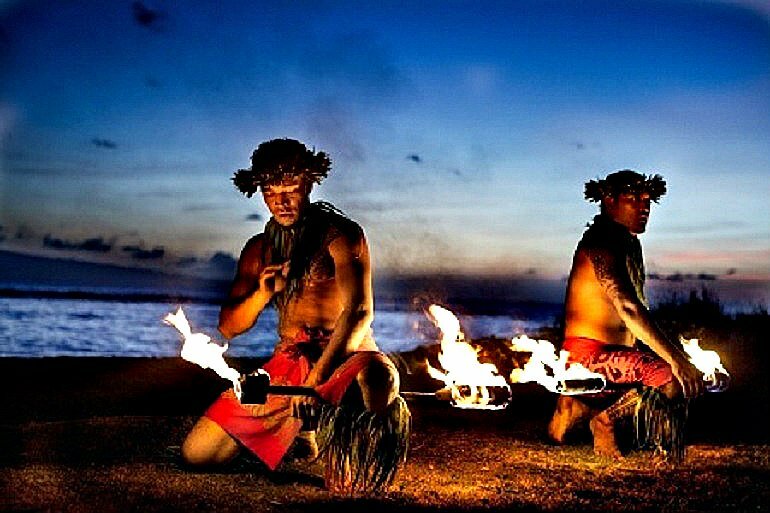 You'll want to stick around for the traditional luau, and also get tickets to their amazing night show called Ha "Breath of Life". This Broadway-like production is a one of a kind experience, high energy, and will keep you on the edge of your seat! 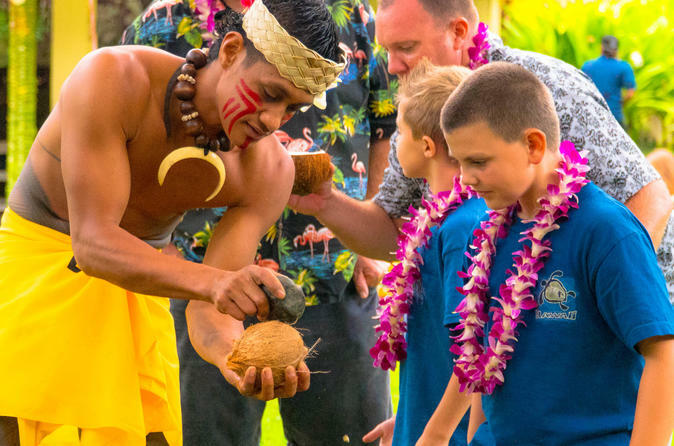 Book your tickets now and take advantage of discounts to the Polynesian Cultural Center. Very few visitors make it to the Sacred Falls area, or discover the Kim Taylor Reece Gallery. It's an absolute treat for those who appreciate this local artist's work. Kim has captured the beauty of Hula in sepia-toned black and white photography. 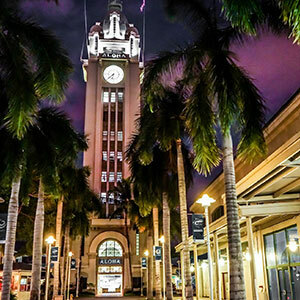 His enlarged photographs that he lovingly calls murals are very captivating and will leave you with a larger appreciation for what the Hawaiian Hula dancers and their performances are all about. 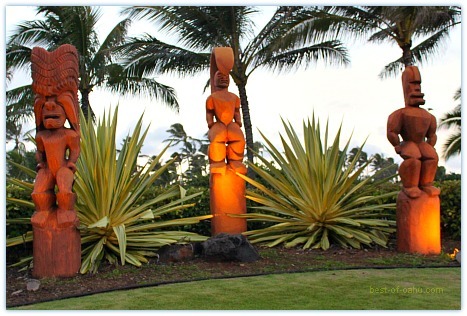 The Kim Taylor Reece gallery is about 20 minutes east of Turtle Bay Oahu Resort & 5 minutes away from the Polynesian Cultural Center. 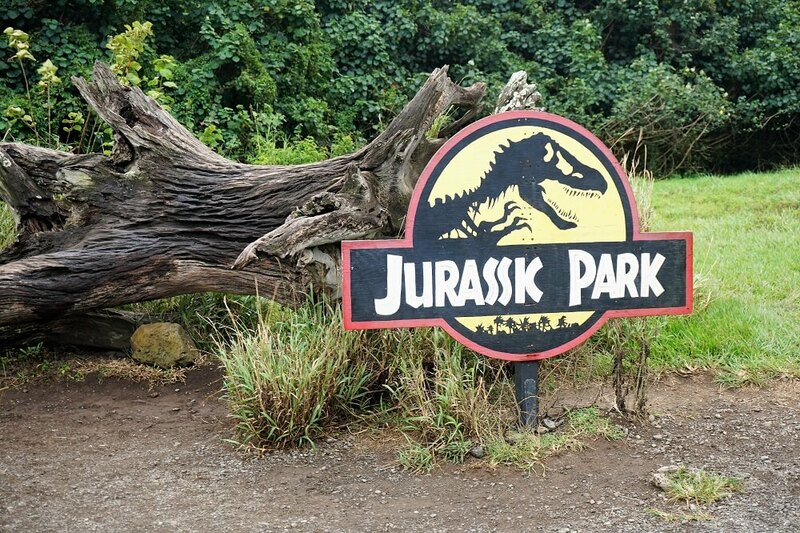 Today, Kualoa Ranch attracts thousands of visitors to not only see the dramatic backdrops of famous movies, but also to engage in exciting of adventures in the vast park grounds. Spend a day riding ATVs, horseback riding, kayaking to a secret island, or flying across the tropical jungle on ziplines! Because the attractions are spread throughout Oahu North Shore, it's best to rent a car to get around, and see everything on your own time. There are plenty of charter tours available to get you out to the main attractions, but if you want to enjoy the laid back island life, having your own car may be a better option so you don't feel rushed and you can take your time going from one spot to another. Just get started early! 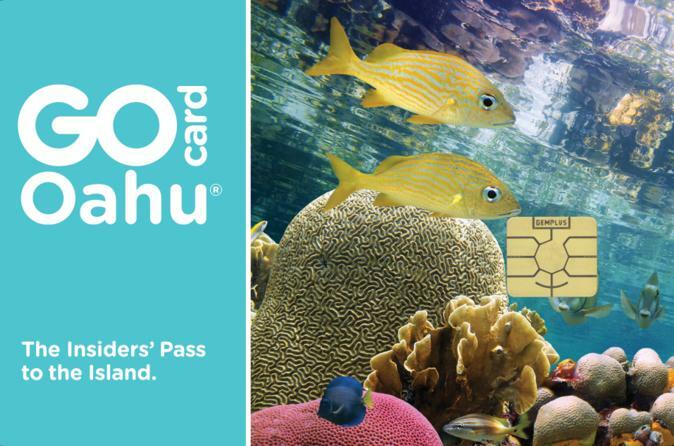 Taking the Oahu bus is also an option, but again, you will lose much time getting on and off the bus at destination points. 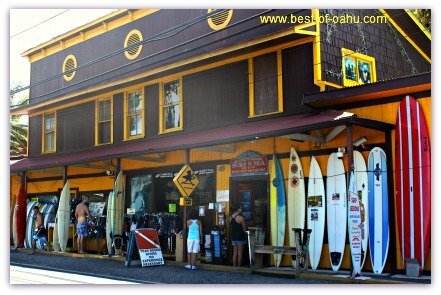 If you choose the bus as a means of transportation, I would recommend stopping in Old Haleiwa Town, and then choosing just one of the North Shore beaches to continue traveling to. Take Hwy 99 and continue into Haleiwa Town. 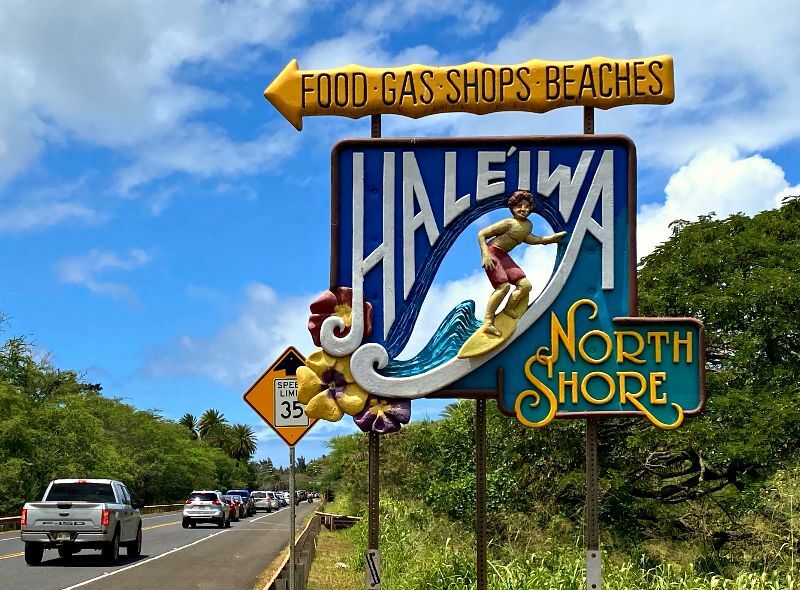 If you wish to bypass Haleiwa and head straight towards the North Shore beaches, then continue on Hwy 99 and merge onto Hwy 83, which will take you to the coastline. 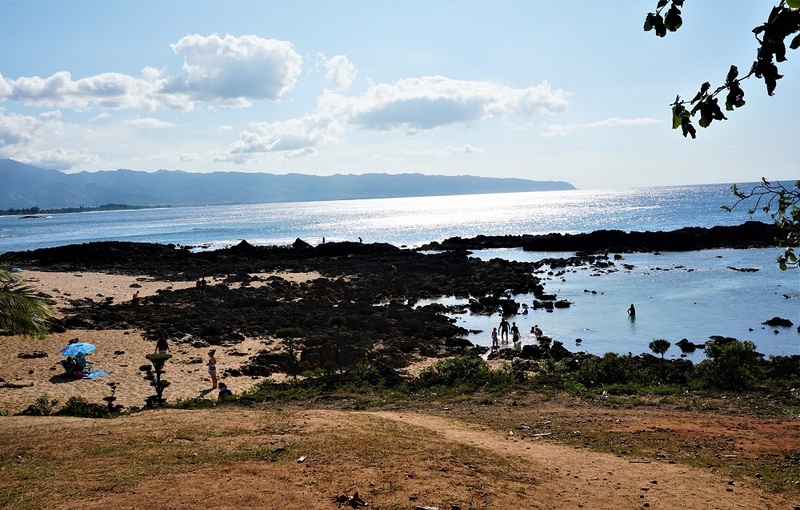 As you continue on Hwy 83, you will first encounter Waimea Bay Beach Park, followed by the Banzai Pipeline (Ehukai Beach Park), and Sunset Beach. 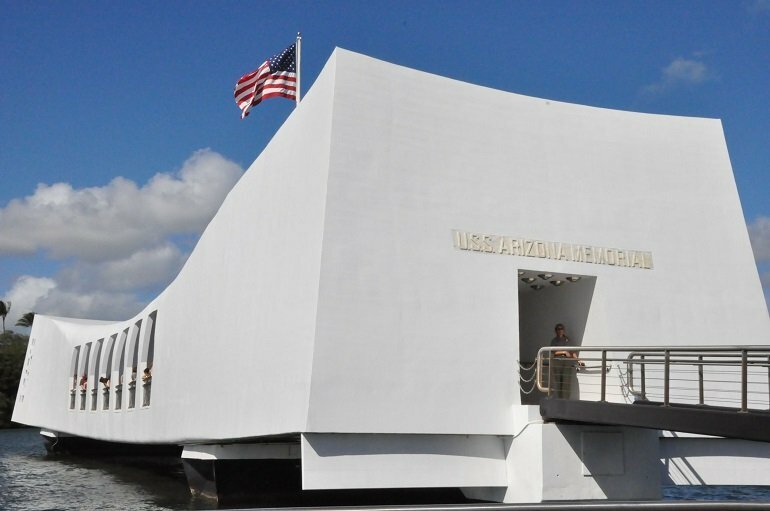 From Waikiki, take the number 98A bus from Waikiki to the Wahiawa Armory and transfer to Oahu Bus 88A. It will take you to Haleiwa Town and to the North Shore beaches. Facilities: Old Haleiwa Town has some of the best Oahu North Shore restaurants and public restrooms. 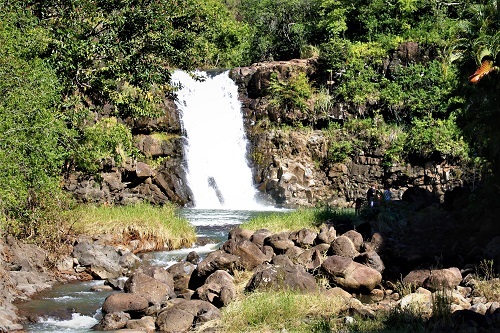 North Shore beaches and Waimea Falls Park also have facilities available. Start early as traffic builds through out the day, and plan on staying out there a full day, including sticking around to view the sunset at one of the beaches - Sunset Beach Hawaii didn’t get its name by chance. I would also recommend checking out one of the Oahu North Shore restaurants for dinner. 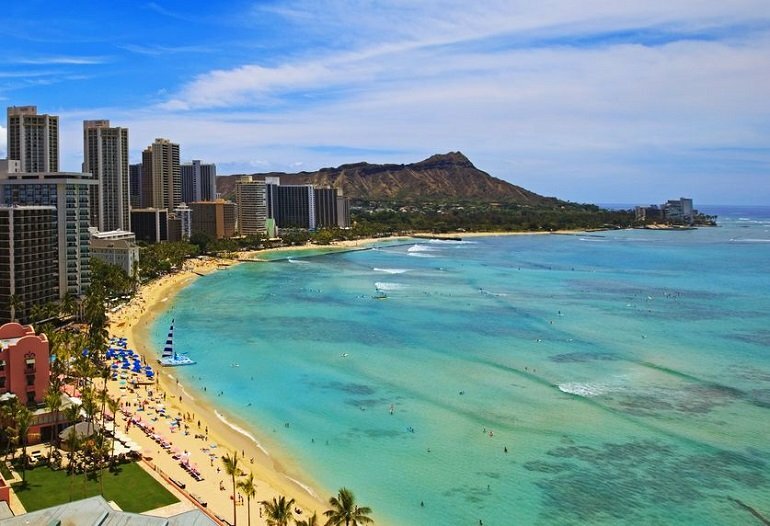 This will allow you to let the returning traffic to pass, and give you a chance to enjoy a nice ending to a fun day, versus trying to rush back to Waikiki to get ready for a late dinner.